Turbulence modeling both addresses a fundamental problem in physics, 'the last great unsolved problem of classical physics,' and has far-reaching importance in the solution of difficult practical problems from aeronautical engineering to dynamic meteorology. However, the growth of supercom- puter facilities has recently caused an apparent shift in the focus of tur- bulence research from modeling to direct numerical simulation (DNS) and large eddy simulation (LES). This shift in emphasis comes at a time when claims are being made in the world around us that scientific analysis itself will shortly be transformed or replaced by a more powerful 'paradigm' based on massive computations and sophisticated visualization. Although this viewpoint has not lacked ar- ticulate and influential advocates, these claims can at best only be judged premature. After all, as one computational researcher lamented, 'the com- puter only does what I tell it to do, and not what I want it to do. ' In turbulence research, the initial speculation that computational meth- ods would replace not only model-based computations but even experimen- tal measurements, have not come close to fulfillment. It is becoming clear that computational methods and model development are equal partners in turbulence research: DNS and LES remain valuable tools for suggesting and validating models, while turbulence models continue to be the preferred tool for practical computations. 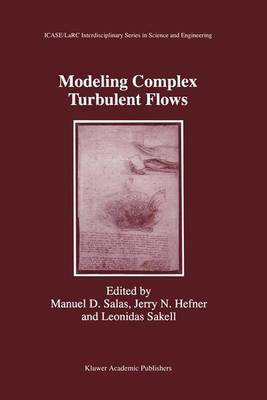 We believed that a symposium which would reaffirm the practical and scientific importance of turbulence modeling was both necessary and timely.